On the eve of the fifth anniversary of the Fukushima disaster, Nato Kan, Japan's prime minister at the time, told a gathering in London last week just how close the country came to a devastating nuclear explosion. Speaking to UK MPs and the general public at the Houses of Parliament, Kan retold the sequence of events that led to the meltdown of one of Japan’s biggest nuclear power stations after a huge earthquake and Tsunami disabled its cooling systems. In addition to the heroic work of emergency workers and nuclear engineers, Kan said “lots of lucky coincidences” helped prevent one or more reactors exploding, an outcome that could have forced the evacuation of an estimated 50 million people in densely-populated Japan, including residents of greater Tokyo. In this worst case scenario, lethal levels of radioactive material would have been blasted over a wide radius, rendering large swaths of the country uninhabitable. In a country which last year commemorated the 70th anniversary of the destruction of Hiroshima and Nagasaki by atomic weapons in the Second World War, the spectre of nuclear fallout is seared onto the national consciousness. “Only a world war would have had the same impact,” Kan said, referring to unimaginable economic costs and mass migration that would have been required if the meltdown at the Fukushima Daiichi plant had not been contained. Although the worst-case scenario was narrowly avoided, the actual outcome has still involved huge financial, environmental, health and social costs, something that Kan and other nuclear opponents say should concentrate minds as China plans a big expansion of nuclear energy. Most of the 200,000 people displaced by the disaster are unlikely to ever return to their homes, as the area around the plant remains highly radioactive. Some research says that over a wide radius the rates of deadly diseases related to nuclear fallout, such as leukaemia, have increased, particularly in children. The cost of cleaning up the Fukushima disaster, which included installing a highly-expensive system of cooling nuclear material, is estimated to be US$250 billion-US$500 billion over the decades to come. Radioactive water from the site is still being flushed into the sea, and polluted soil piled up in sprawling storage sites. Making nuclear power plants safer is one of the main reasons why projects in Europe have ran massively over budget and been hamstrung by repeated delays. 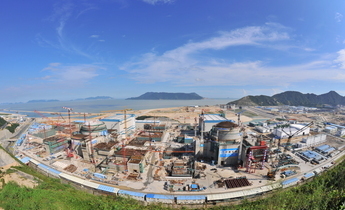 Major faults found in the European Pressurised Water Reactor (EPR) nuclear design used in France and Finland, and at Taishan in China, have stoked further doubts that Hinkley Point C and other projects using the specification will be built. The cost of building Hinkley now exceeds the market capitalisation of France’s national energy champion EDF, while bonds in its engineering counterpart, Areva, have been downgraded to junk status. 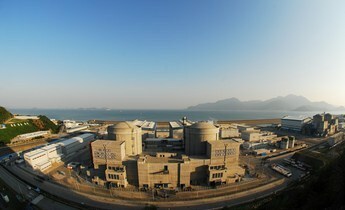 “Chinese [companies and officials] are incandescent with rage about the faults found with the EPR,” Paul Dorfman, an academic with University College London and founder of the Nuclear Research Group, told the meeting addressed by Nato Kan.
France, the UK and other countries that have operated big fleets of nuclear power stations will likely have to spend hundreds of billions of dollars, most of it public money, to treat and store nuclear waste for many centuries to come. China, and other countries planning nuclear, may have to rethink whether the costs of building new plants, their eventual decommissioning, and the storage of spent nuclear fuel, will be worth the new generating capacity. For example, in China, even if most of the 50 planned nuclear power stations are built, these would only account for less than 10% of the country’s total power generation mix by 2030. Some energy experts say the need for baseload power fed into a centralised power grid is increasingly questionable in an era of cheaper renewables and moves towards localised, ‘smarter’ electricity grids. But for the general public, safety issues are still likely to predominate over economic considerations, as secrecy and mismanagement related to previous disasters appear to have permanently eroded trust in the nuclear industry. 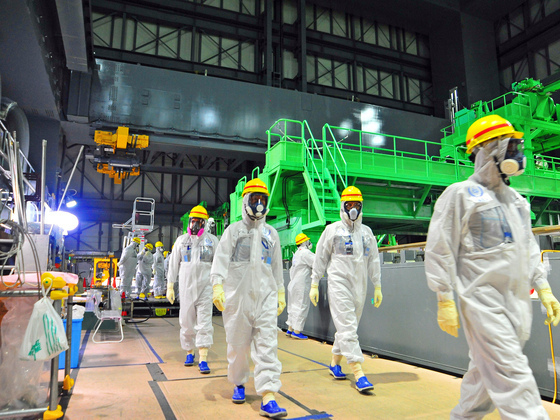 “Accidents by their very nature are accidental,” added Dorfman, who pointed out that despite the multiple disaster scenarios considered in the design of Fukushima and Chernobyl, both plants were built with majorly-flawed safety measures. Tepco, which operated the Fukushima plant, failed to respond to repeated warnings that the sea wall surrounding the plant was inadequate to protect against a huge earthquake and Tsunami along one of the world’s most volatile geological fault lines. And, according to Nato Kan, in the frantic first few hours after the 2011 earthquake Tepco failed to give accurate information to the country’s leaders about what was happening at Fukushima, and took years to acknowledge the extent to which radiation from the stricken site had leaked into the sea. Sceptics of nuclear power ask if the next generation of reactors can be considered safe at coastal sites if, as scientists warn, sea levels will rise sharply because of climate change. And for plants built inland, will there be there adequate supplies of cooling water from rivers in an era of rising global temperatures? Those most affected by the Fukushima disaster are beseeching countries to reconsider their plans for new nuclear.